I don’t usually do media criticism. But flipping channels on the Japan earthquake meltdown coverage, I have to say that Fox was just so much more watchable and informative than CNN. The CNN anchors and reporters spent an awful lot of time congratulating each other, and they often sounded ill-informed. The Fox folks drilled right in on the information and the pictures, and I felt like they were focused on the event rather than themselves. (I was watching the feeds at my Los Angeles hotel). BTW, I did not evaluate MSNBC or CNBC. 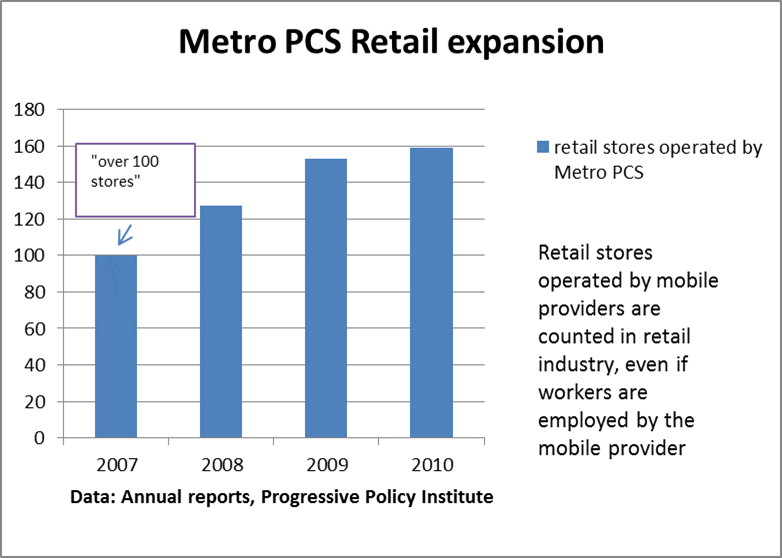 This morning the retail spending statistics for December came out, and once again a large number of journalists got it wrong. By repeating the incorrect statement “consumer spending is 70% of the economy”, they are implicitly supporting the notion that business investment plus exports plus government only account for 30% of the economy altogether. *What indicators are signs of real recovery. If people are interested, drop me a note at mmandel@visibleeconomy.com. It will probably be in early February. If there’s enough interest, I’ll give one in NYC as well. A year ago I started a venture dedicated to one goal: Producing news that is also educationally sound. Or, if you like, producing educational materials that also have real news value. News is typically fast-paced, timely, and engaging—but not always consistent or well-explained. Education is systematic, consistent, and well-explained—but not always timely or engaging. We—myself and colleagues Damian Ghigliotty, James Fair, Charli James, and Judy Scherer—believe that combining the best features of news and education can create an innovative and compelling view on the world. Most of our output up until now has been nonpublic–news/education videos for textbook companies and nonprofits (feel free to contact me at mmandel@visibleeconomy.com if you are interested and want to hear more). But in our spare moments, as it were, we put together our first public site, VisibleDeficits (http://www.visibledeficits.com). VisibleDeficits is a prototype site that shows, I hope, one way of combining the best features of news and education. We picked state and local budget deficits as our opening topic–the ‘seed’ –because of the broadness and relevance of the issue. We will regularly update and expand the material on the site. Going forward, we intend to roll out other ‘seeds,’ under the general rubric of News and Education TV. Seeds can either be news topics, like innovation, unemployment or immigration; or educational topics, like political science, sociology or how to find a job. We’re very interested in hearing comments, negative or positive, about VisibleDeficits. And if anyone would like to contribute either news or educational pieces on state and local budget deficits, or suggest potential seeds, that would be great as well. Finally, great thanks to Damian, James, Charli, and Judy, the people who have actually done the hard work of putting together VisibleDeficits, as well as reporting and producing many other news/educational videos over the past year. They have all done great innovative and original work, breaking new ground in journalism and education. The newly-released 2009 Annual Survey of Journalism & Mass Communication Graduates from the University of Georgia completely supports this narrative. The survey discovered that the labor market for June 2009 graduates was terrible–exactly what my chart shows. Of those graduates returning the survey in November, only 46.5% reported having a full-time job. In May, the rate was 62.8%. In fact, the survey’s chart 6 looks almost exactly like my chart above. I think it’s pretty clear that the journalism job market, at least up this point, is bouncing back faster than a lot of other occupations. My best guess is that journalism, broadly defined, is quickly going to become one of the hot careers. As I travel around the country talking about the economy and journalism, I usually make two points. 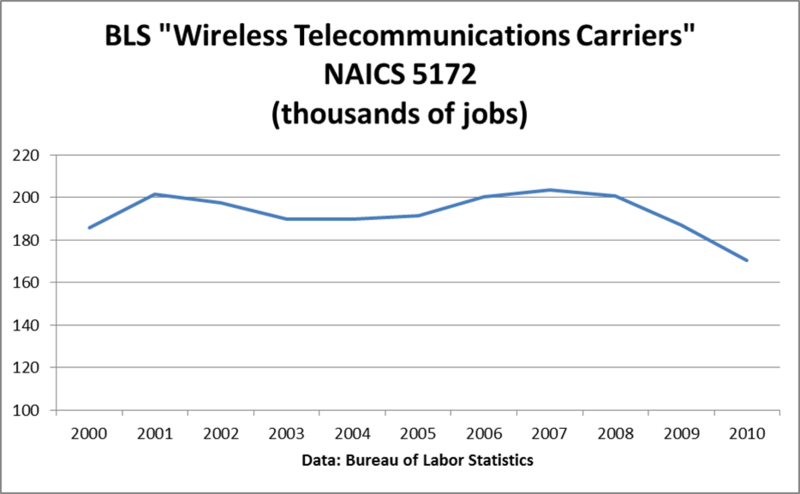 First, the next jobs expansion is likely to be driven by a communications boom (see this paper I did for the Progressive Policy Institute). Second, we may be headed into a Golden Age of Journalism, where the combination of the falling cost of communications and the high demand for news just opens up all sorts of possibilities for doing journalism in different ways. (I’ve put my money where my mouth is, starting a new venture, Visible Economy LLC, which does a combination of news and education). In this post, I want to look at the evolution of the journalism job market over the past three years. Back in September 2009, in a previous incarnation, I did two extended blog posts on the journalism job market (here and here). I used data from the Current Population Survey to conclude back then that “there is no convincing evidence yet of a long-term secular decline in the journalistic occupations” (September 2009). Now we have nine more months of data, and my conclusion is surprisingly positive. 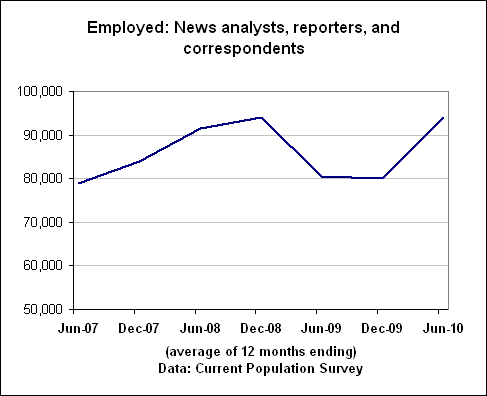 In terms of jobs, journalistic occupations are outperforming the overall economy. However, many of the journalistic jobs are not being created in conventional journalism industries. Let’s start by looking at a chart (why not? I love charts, and you should too). —Collect and analyze facts about newsworthy events by interview, investigation, or observation. Report and write stories for newspaper, news magazine, radio, or television. So in theory this survey is picking up, with a wide range of statistical sampling error, the number of people who work as reporters and correspondents, whether or not that is their actual title. What we see here is that after taking a sharp dip, the number of news analysts, reporters and correspondents–let’s call them ‘journalists’ for brevity’s sake, has rebounded sharply. It’s worth comparing the job performance of this occupational group against the overall population, and against the population of college graduates. Overall the number of employed journalists, based on the CPS, has increased by 19% over the past three year. Meanwhile, the number of employed college graduates has risen by only 3%, and overall employment, as measured by the CPS, has dropped by almost 5%. How can the number of employed journalists rise, given that employment in the publishing and broadcasting industries has fallen? Over a comparable time period, employment in newspaper publishing has fallen 26%; periodical employment is down 16%; and radio and television broadcasting is down 11%. Explanation #1: Journalists are being hired in nontraditional industries. Yahoo, for example, hired Jane Sasseen, BW’s very good Washington Bureau chief, to help beef up politics coverage. That job likely shows up in the industry “internet publishing and broadcasting and web search portals”, which has grown by 22% over the past three years. Or take my business, Visible Economy LLC. We’ve hired three young journalists, but it’s tough to say whether these jobs would show up in educational services or in journalism. 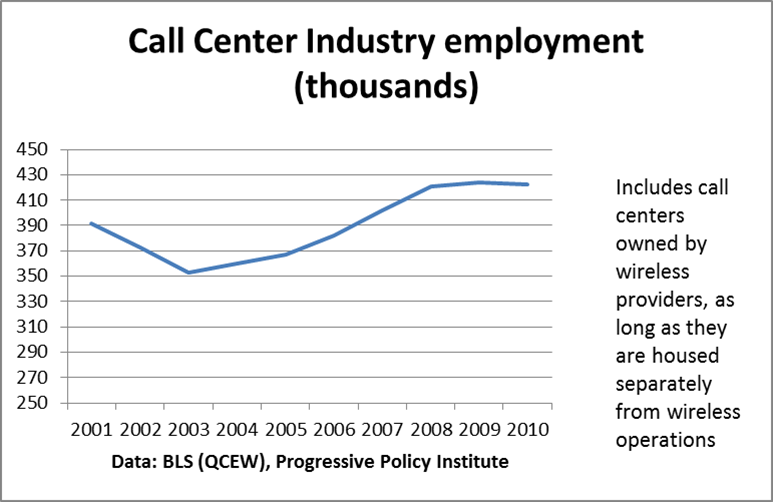 Explanation #2: Some of the gain in journalist jobs simply represents an increase in self-employment. True, but as it turns out, the number of the number of “news analysts, reporters, and correspondents” employed by others has risen by 15% over the past three years. That’s not as big as 19%, but it isn’t bad. Explanation #3: Reporters have done better, jobwise, than editors and production support personnel. Generally speaking, the new technologies allow a delayering of journalistic organizations–fewer editors and production support personnel needed to get out the same amount of content. Take a look at this chart, which shows the number of people employed in the broad category of ‘editors’. Unlike reporters, the number of editors is down over the past three years, by about 2%. However, if we add together the two categories (“news analysts, reporters and correspondents” plus “editors”) the total employment gain over three years for “journalistic occupations” is a decent 5%, beating out the overall gain for college grads. 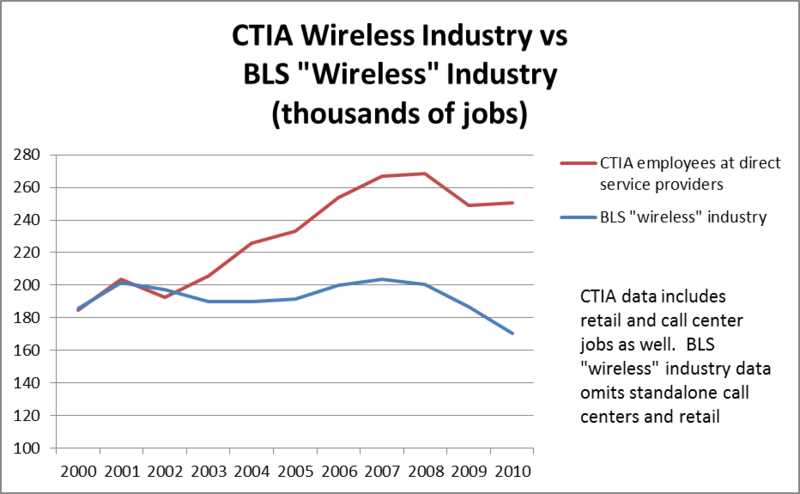 Explanation #4: Maybe the jobs are there, but it’s possible they could be worse-paying, fewer hours etc. There is certainly some truth to this. The median weekly wage for full-time reporters et al fell by 1.5% between 2008 and 2009, according to BLS calculations. Meanwhile, the median weekly earnings for all managers and professionals rose by 1.9%. I don’t yet feel confident to extend the wage analysis to 2010. All four explanations are true simultaneously, I think: A shift in journalistic employment to nontraditional industries, an increased in the self-employed, a delayering of journalism, and perhaps lower pay. So…a Golden Age of Journalism…it may not pay as much, but it’s going to be a heck of a lot of fun!